I’m bored. This is day 3 of my cold. I am on my way to recovery now, but I didn’t quite have the strength for a full day of work. So I stayed home and have been online (email, banking, investments, etc). In between wiping the spigot in the middle of my face, I ordered in some chicken noodle soup from the local Chinese restaurant. Nothing against this particular establishment, but I don’t think chicken noodle soup is their best dish (although the broth was pretty good). I mentioned investments. A little more than two years ago, I wrote an article on this blog about the negative savings rate in America. I recall saying we were in trouble and needed to wake up. Call me crazy, but I think this one has come home to roost. Anyone who is even partially conscious knows we are going through some rough economic times. Until today, I have avoided the temptation to check in on my various investments. I am a still a firm believer in the “set it and forget it” model of investing (the average consumer just can not time the market). It is not that I never look, but even when I do look I am not likely to take action. My 401k plan has lost 19% of its value since January 1st, but I still can’t find anything I would do differently. So I leave it alone. It has 25 years to recover and grow! Because of my investment style, you might think I was a fan of target date mutual funds. These funds are the fastest growing mutual funds around (largely due to their popularity in corporate 401k programs). The idea is fairly simple. You invest in a fund that has a date close to when you anticipate retiring. The fund adjusts the asset allocation class over time (i.e. from stocks to bonds). So what’s wrong with that? Nothing really, but it places all its emphasis on your age and little else. The fund doesn’t ask you questions about your investment time horizon or expected withdrawal rate. It’s a one size fits all approach to investing for retirement. But how can that work? Let’s consider two scenarios (Bob and Tom – both age 35). Bob is single. He makes the maximum contribution, $15.5K, to his 401k each year and has discretionary income left to invest an additional $25K annually. Tom is married, has two kids, and his wife doesn’t work. He can only afford to contribute $500 a month to his 401k. Tom has no discretionary income left for additional outside investments. So do both of these guys have the same investment needs? How about the tolerance for risk or desired rate of return? Funny how that target date mutual fund never asked any of those questions. So no, I’m not a fan. That is a bit of an abrupt ending to this posting, but I am tired and need to go to bed. Maybe I will be inspired to write more on this topic later. Zambrano & Lilly … take a bow. Six for the clinch, ten for a hundred wins, and fourteen to play. Go Cubs Go!!!! 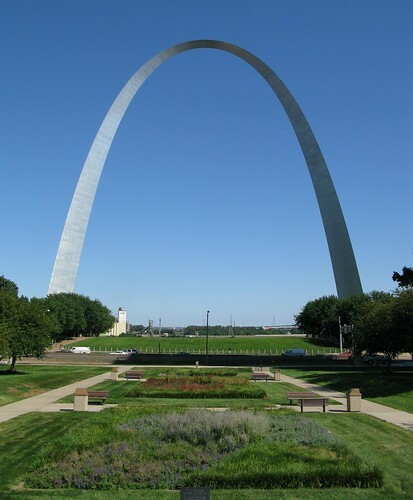 If you had not guessed from the picture below, I am in Saint Louis today. I am here to cheer on the Cubbies as they open a 3 game series with the Cardinals. And let’s face it – they need all the support they can get right now! The weather is perfect – should get down near 50 tonight. So tune in to WGN tonight and let’s start this series off with a big W.